from all over the world, I choose chefs from all over the world. It just proves how food is a universal way to connect! 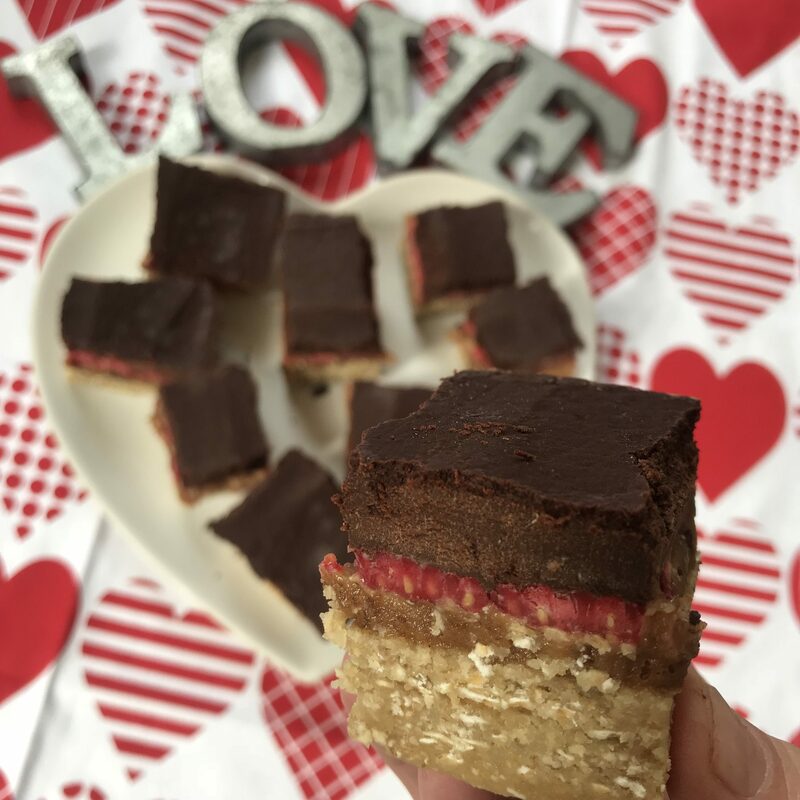 Chocolate Raspberry and Fudge Bars from Londoner Tess Ward. For the base : Place the ground almonds and oats in a food processor and blitz to combine. Once they reach a fine, flour crumb add the remaining ingredients and 4 tablespoons of just boiled water then blitz to combine. Once the mixture is fully combined, press it into a small baking tray (25x17cm approx) lined with cling film. You want to achieve and even layer across. Place the baking tray in the freezer whilst you make the filling. For the filling : Simply add all the ingredients (except the raspberries) to the food processor with a 3-4 tablespoons of just boiled water and blend until the mixture is combined. The hot water will help melt the coconut oil and get the fudge layer to a thick spread texture. If need be use a spatula to scrape down the edges of the food processor so that everything gets blended. Once done, remove the baking tray from the freezer and spread the caramel mixture over the top. Gently break the raspberries in half and press them into the top of the caramel mixture. Return the tray back to the freezer. For the chocolate topping : Place all the ingredients into a small sauce pan and gently melt over a low heat. Once nearly melted, remove the pan from the heat and mix well. Take the baking tray from the freezer and evenly pour the chocolate mixture over the top. Give the tray a gentle shake from side to side to ensure even coverage. Return the tray to the freezer and leave to set for at least 2-3 hours before slicing. 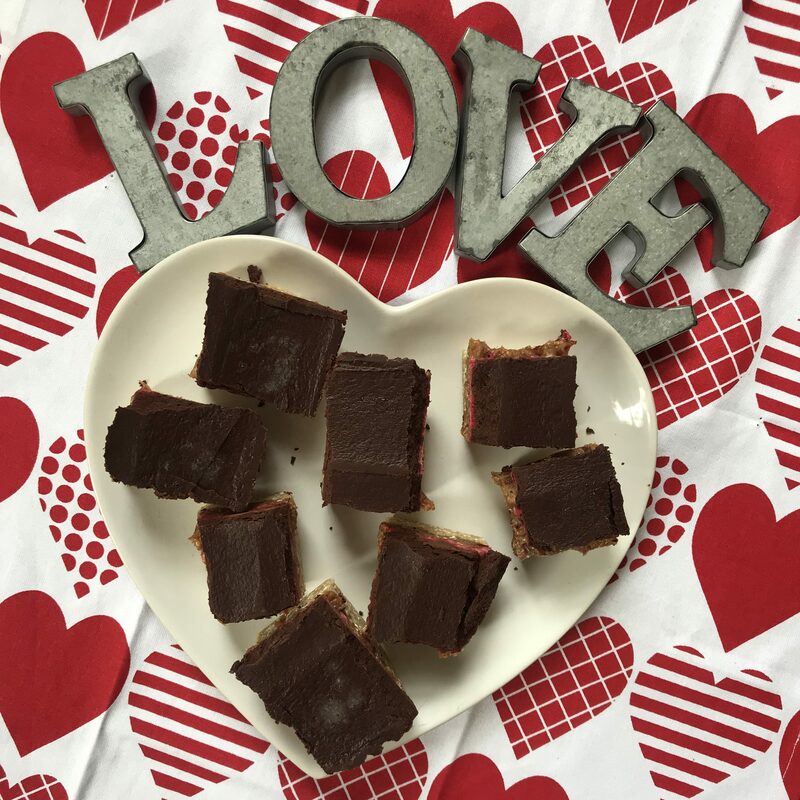 To serve, remove the chocolate slices from the freezer for 5 minutes to thaw a little before serving. This picture says it all. I’ve literally fallen in love with these bars. 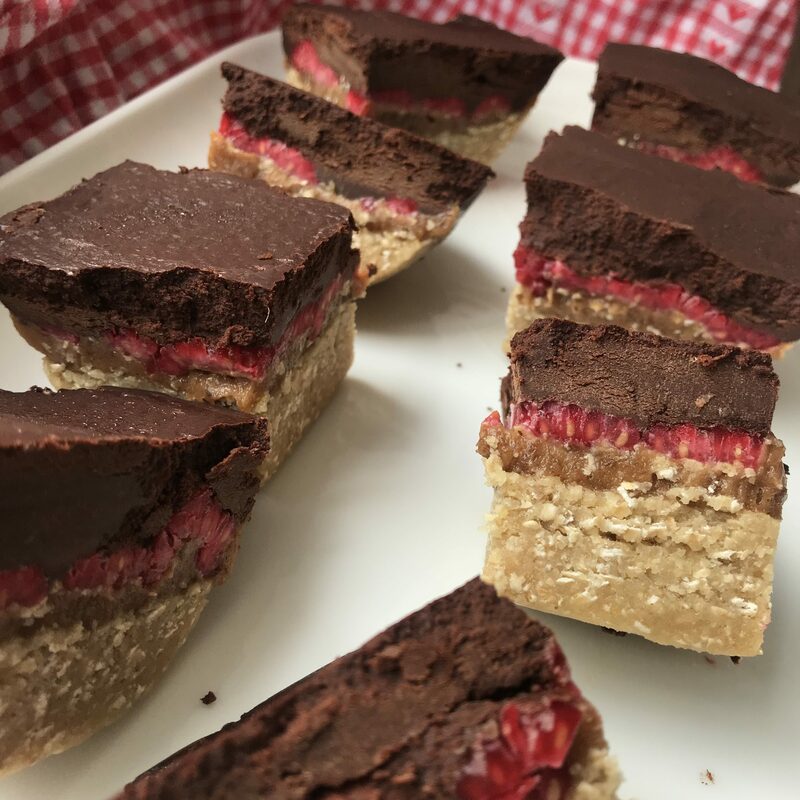 While they are dairy free, sugar free and gluten free (if using gluten free oats) they taste like the most decadent dessert! Yet even indulging in them, I still feel guilt free! As Tess says in her commentary about the recipe, the chocolate is beneficial for its antioxidants, the coconut oil is beneficial for satiating hunger, and the maple syrup is beneficial for its zinc and magnesium. Okay beneficial aspects aside, she had me at chocolate! I’m still mesmerized by those layers! It is a super easy recipe and while it does take a bit of time due to the bars chilling in the freezer, it is worth it for the showstopper results. I didn’t have hazelnut butter, but I substituted almond butter which worked fine. Also I didn’t have the Vanilla Stevia drops but did add some vanilla extract to the chocolate layer and it tasted delicious. 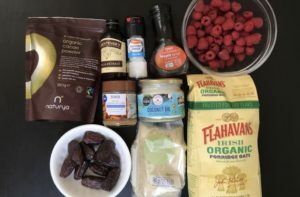 Tess is not only a fab chef working with top brands, but she is also one of the hottest food bloggers out there at the moment. Which is no surprise. She is a Le Cordon Bleu trained chef who has worked at the famous River Cottage (on my bucket list). She has published a successful cookery book and has a massive Instagram following. I especially love her Youtube videos. She is very charming and causal and at the same time shares her wealth of culinary knowledge and handy tips while demonstrating delicious recipes. Speaking of recipes, this one is now my new fav and these bars are literally calling my name right now. I wouldn’t want to ignore them, so best get back to working my way through this platter. I’ll sign off by saying thank you Tess for all the inspiration! 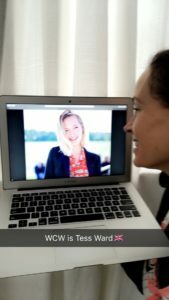 You are beautiful inside and out and I wish you continued success!